Do you have team member working remotely in the field? How about from a cabin at the lake? Whether you have remote workers, people in the field or executives who travel a lot, our Mobile Device Management (MDM) solution will integrate with the cloud-based system of choice. Developing an MDM solution will also allow your business to go paperless. Here are 6 ways Scout Technology Guides can help your business reap the benefits of going paperless and developing a fully secure Mobile Device Management solution for your cloud-based system. Going digital will save you hours of filing, delivering, searching and writing – imagine being able to send your remote team a contract and have it signed, returned and filed to you in seconds! Everyone makes mistakes, but everyone makes more mistakes when it comes to physical paperwork. Handwriting can be hard to read or could be rubbed out entirely by age or moisture. 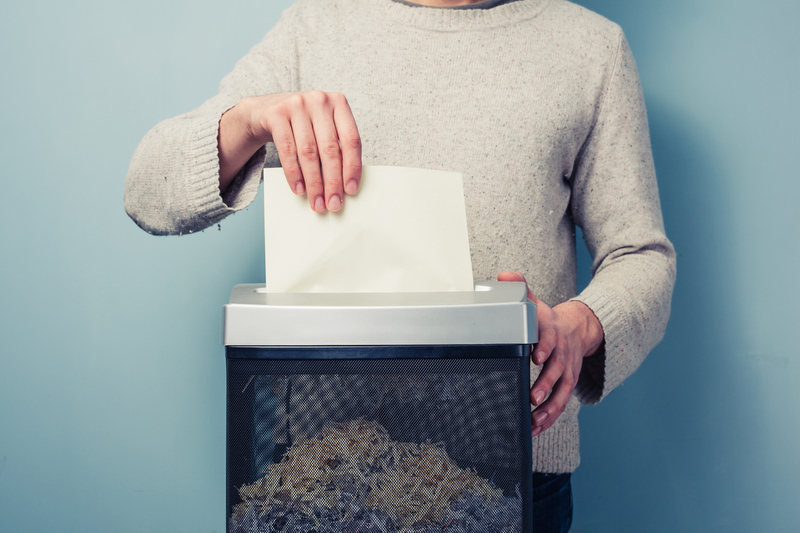 a filing error could take hours to remedy and paper is at risk of fire, shredding, or a stray gust of wind! Paperless solutions remove or reduce these risks to such a degree that there are no grounds for comparison. A vast storage room of paperwork can now be stored on a card that is smaller than a standard credit card. With cloud access, all your important and useful documents can be accessed from anywhere in the world, at any time, instantly. This benefit is valuable beyond comprehension. You’ll never have to wait for the mail, stare at your fax machine or manically sprint across your office again, paper in hand, ever again. You can save money on endless fronts – printing, storage, delivery and material costs will be no more. Did you know that 4 billion trees are cut down each year for paper alone! So not only will you reduce operational stress, you will also reduce your carbon footprint as you’ll require less printing requirement (paper, and toner), reduced postal needs, more efficient use of space, the list goes on! Are you Ready to Make the Switch to a Paperless Solution? Contact us today and we’ll meet with you and review your business to discuss personalized options for you and your teams. “Employing this solution with Scout was seamless and the benefits of the solution have been even greater than we anticipated.